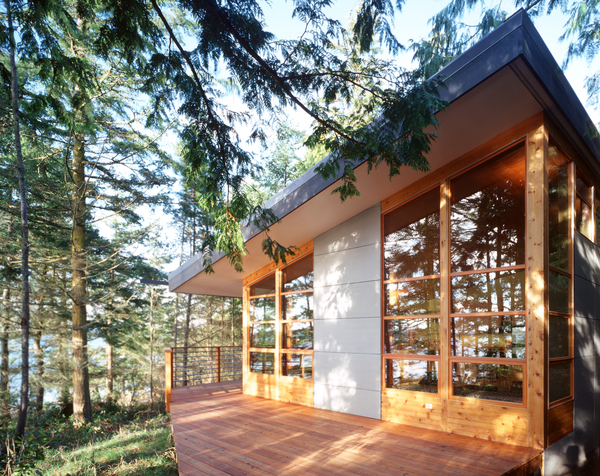 Responding to design constraints, including a north-facing lot and a lean budget in a high cost labor environment yielded a simple yet elegant dwelling. The owners initially wanted a gable-shaped roof, but a shed roof was determined to be less expensive and more interesting. 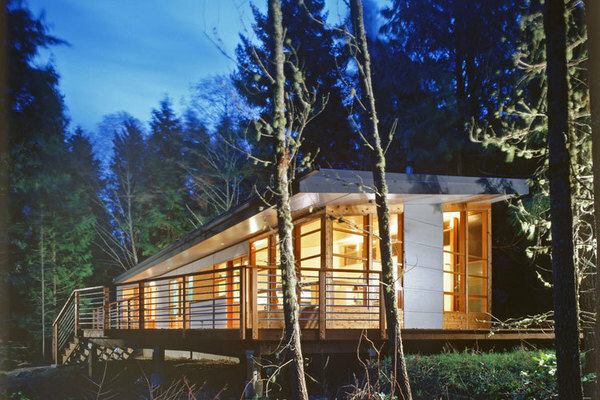 The owners agreed, and the resulting roof sits atop a simple rectilinear box that holds a blissfully basic floor plan. 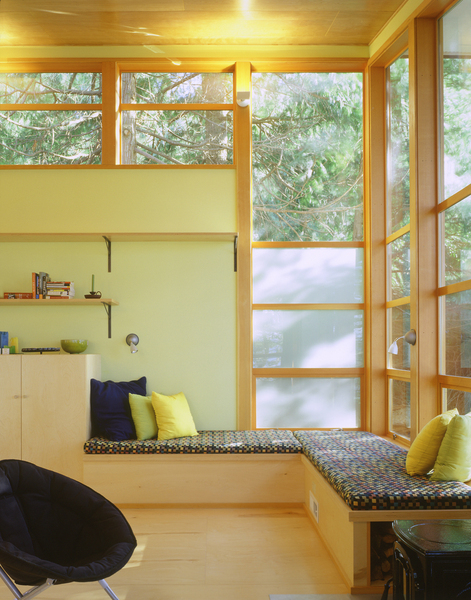 The master suite fills the east end of the house and is abutted by a bedroom for the owners' teenage son and a hallway lined with bunk beds for additional sleeping space. Low-key materials complement the laid-back plan. 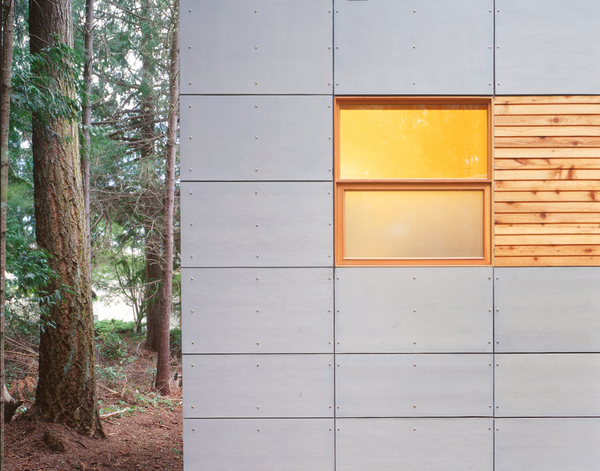 Sealed 2-by-4-foot fiber-cement panels cover the exterior. 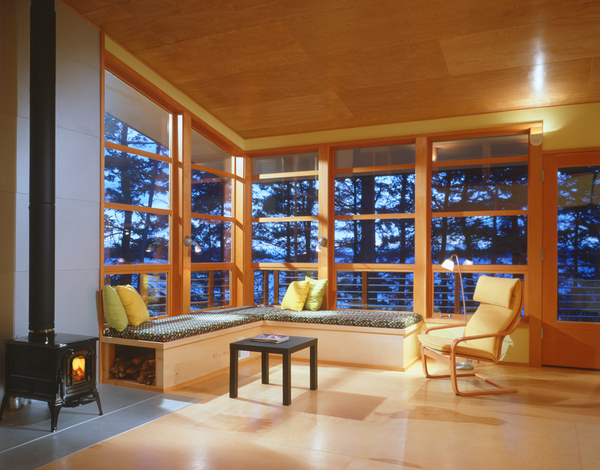 The custom Douglas fir-framed windows were a permissible luxury, since most were cut to the same 2-by-4-foot size to keep costs down. Custom metal shelf brackets are used throughout the house; these were crafted for less money than they would cost at Home Depot. 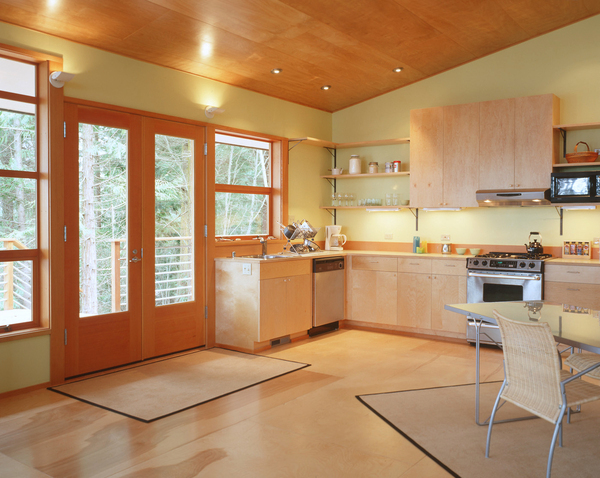 Floors and ceilings of sealed birch plywood bounce daylight around each room. The house's functional, no-frills building elements necessitated a jolt of pizzazz for both the owner and the architect. The low-tech, cost-effective solution? Paint. 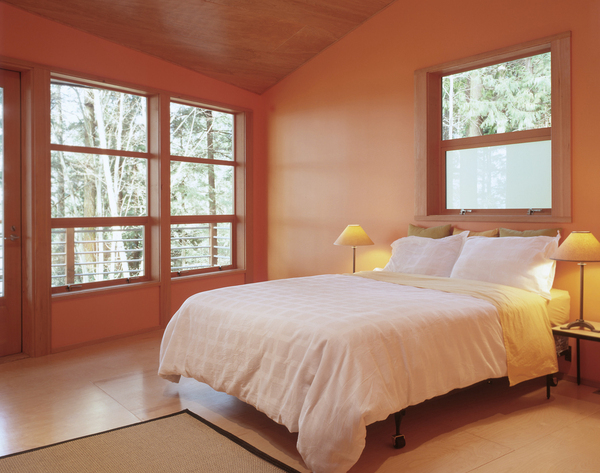 A light chartreuse jazzes up the kitchen and living room, while peach and tangerine give the master bedroom a lift. 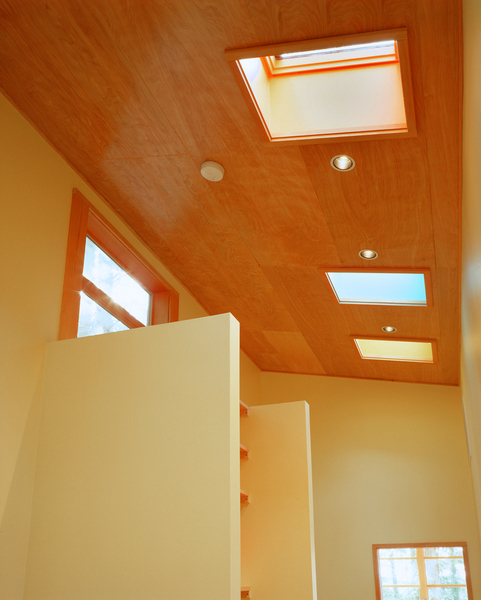 Even the hallway perked up with yellow walls and multicolored skylight shafts. The effect is exuberant, unexpected, and delightful.